Held every Labor Day weekend, all sailors are invited to participate in this breathtaking event, which features Flying Juniors, Sunfish, Force Fives, Windsurfers and Hobie Cats racing simultaneously. Prizes are given in each class, as well as the annual Mastrangelo Top Junior Sailor. Highland Lakes participates in SANJL and offers several regattas for both senior and junior sailors. For information about SANJL in Highland Lakes, contact Mark Buruchian at 973-764-7420. 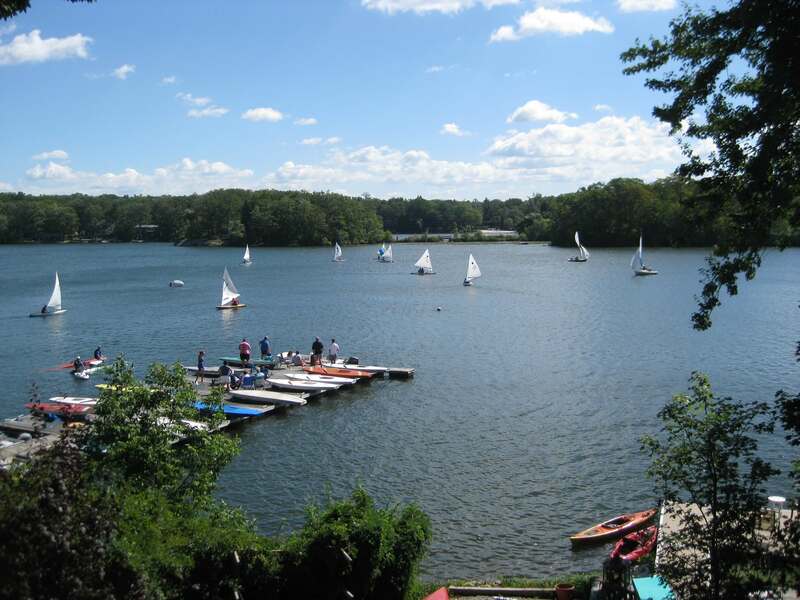 The annual picnic for sailors, their crews, and families is held in the Lake Room on the Sunday of Labor Day Weekend. (Please let your fleet captain know how many people will be attending in your party.) The main event is when sailing trophies are awarded, but festivities begin at 4:30pm, and each family is asked to bring a salad or dessert. A small fee is charged for hamburgers, hot dogs, and beverages that are provided.